Colombia was chosen as the eight best country to live abroad, according to a survey conducted by expat resource website InterNations. InterNations reports surveying more than 12,500 expat members from 166 different nationalities to get their take on their adopted countries, who evaluated more than 40 individual aspects such as quality of life, ease of settling in, work, family life, personal finances and cost of living, among others.they now call home; the results could help you decide if you’re ready to turn your wanderlust into a long-term relocation. Topping the list was Bahrain, jumping from 19th to first place this year, because of its exotic beauty and a wide mix of cultures, in addition to its great ease of settlement and high professional satisfaction: 25% of the respondents said that they began to feel at home practically immediately. The country also scored highly in the Personal Finances Index, and 41% said they earn a lot more than they would back home. 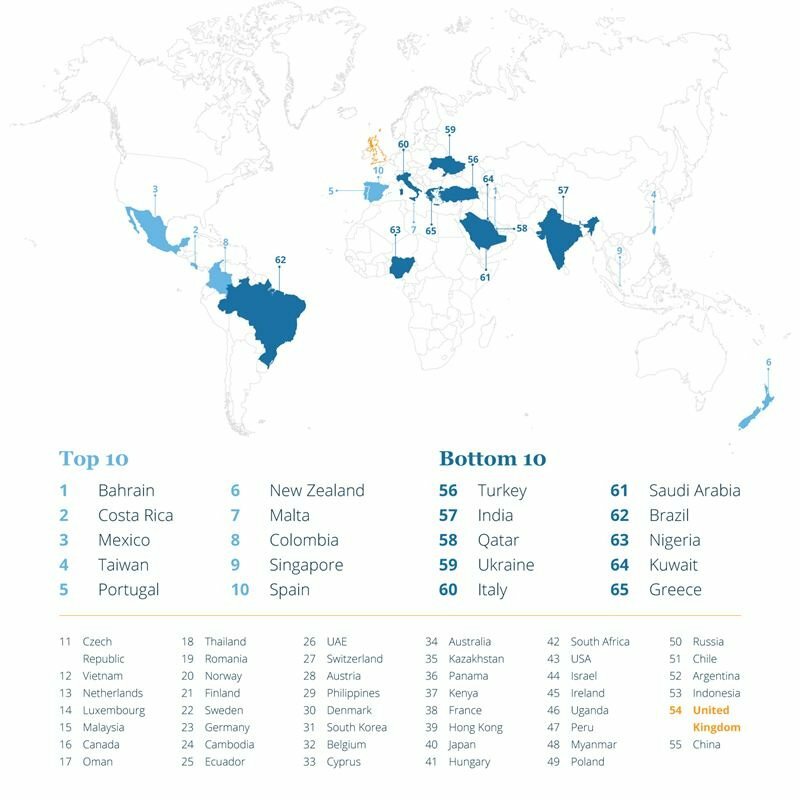 Colombia also scores fifth for Personal Happiness, although is much further down the list, at 50th, for Safety and Security. Nevertheless, the country has jumped to 43rd to 25th place for Quality of Life, and respondents reported friendly locals and that it was easy to settle in. Colombia was also ranked third for the cost of living, an important motivating factor for many who relocated there. The other countries in the top ten are: Costa Rica (2nd), Taiwan (4th), Portugal (5th), New Zealand (6th), Malta (7th), Singapore (9th) and Spain (10th).